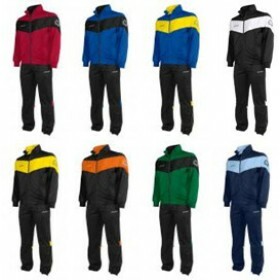 Great range of tracksuits for all sports at Donsport. 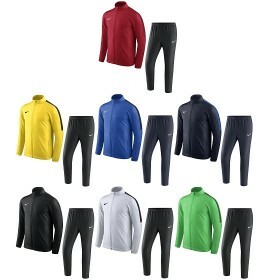 Call Donsport on 01290 423399 for a Quote.Nike Academy 18 Woven Track Suit, Nike Dry fabric helps yo.. 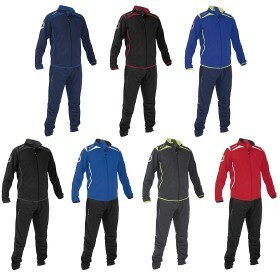 Call Donsport on 01290 423399 for a Quote.100% poly ripstop, slim fit, jacket has high quality SBS z.. 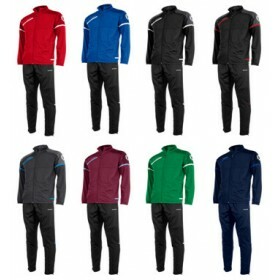 Call Donsport on 01290 423399 for a Quote.Stanno Forza Full Zip Polyester Suit. 100% polyester, brus.. Call Donsport on 01290 423399 for a Quote.100% polyester, full zip, slim fit suit with contrasting c..